When I saw that MAC were releasing the Naturally Collection I got rather excited - I love wearing natural hues of makeup, and thought I would buy near enough the whole shebang. Having learned from previous online collection haul mistakes, I decided I'd wait to see it in the flesh before committing to a purchase. I thought that the Sweet Sunrise would be a definite buy - but in reality it was just too close to my natural skin tone for it to ever look good! 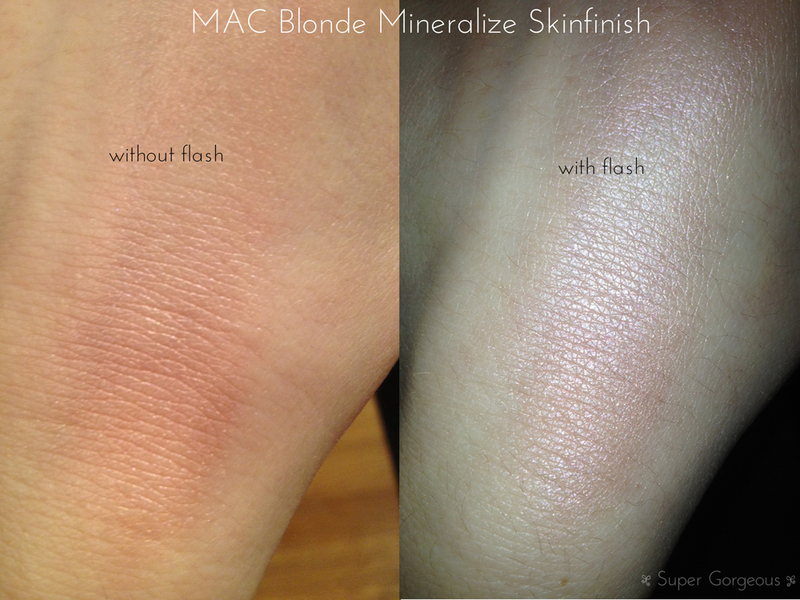 One of the first things that caught my eye on the display was the Mineralize Skinfinish. 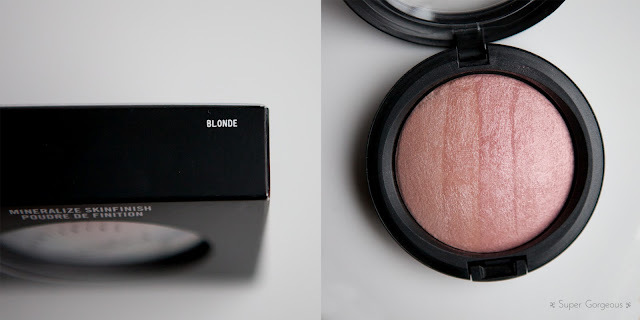 I am a massive everyday-wearer of Stereo Rose MSF, and Blonde reminded me slightly of it, of her - my favourite ever blush product... they could be cousins. As part of the Naturally Collection, MAC re-released Blonde and Redhead Mineralize Skinfinishes, which originally came out as part of the Blonde, Brunette and Redhead Collection. 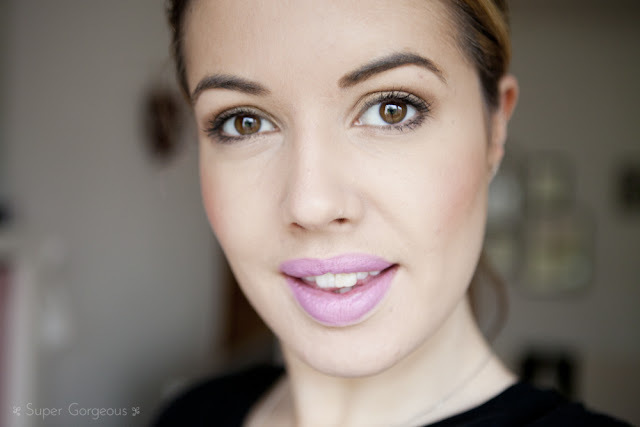 When I first laid eyes on Blonde, it looked pinkish - far more pink than once it's swatched. The domed product has four stripes of colour, varying from a soft pink rose colour to a more coral, apricot tone. When swatched, it definitely takes on more of the apricot colour. It is meant to be a highlighter, but I love wearing this, and Stereo Rose, as blushes. For reference, I am an NC20 in MAC - if you are a lot darker this probably wouldn't work as anything but a highlighter. It has a frosted finish to it, so if you are using it as a blush you have to be careful not to be too heavy handed or all your pores will end up extra visible! I use a MAC 187 brush as it is very fluffy so distributes the product nice and softly. You can see it better, or from a different angle, in this photo taken of me today at London Fashion Week which I've borrowed from the AOFM website. 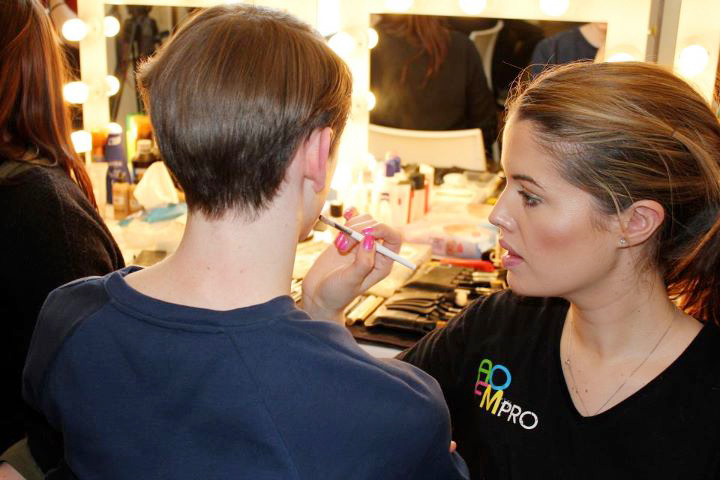 Please note, I also have some Shu Uemera bronzer on under my cheekbone for contour. So, that is Blonde - the gorgeous, pretty, soft blush / highlighter. Stereo Rose is going to have to watch out now her cousin's on the scene. There is going to be some serious competition in the mornings! Luckily Redhead was out of stock, otherwise I'd be wasting even more time deciding which I'd wear that day! Have you checked out the Naturally Collection yet? What did you get? Should I keep trying for Redhead? !